Duane Hinkson is a dynamic individual, managing his role as CEO of Development Finance Ltd alongside his role as a driving force behind FundMeTnT, an online initiative that aims to bring fundraising into the digital age locally. Drawing on over 20 years of experience in the banking and finance sectors, he saw the need to create the change necessary to advance the digital landscape and chose to start from a charitable angle. 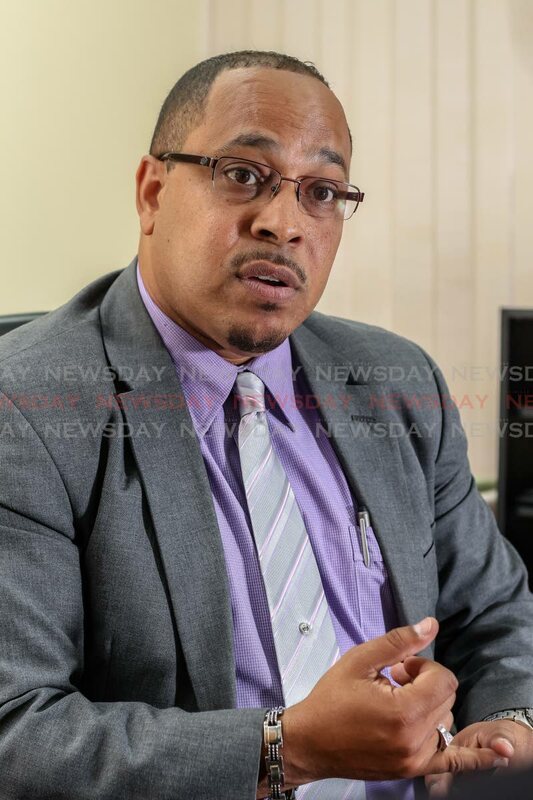 “We saw that there was a constant need for funding for various causes and historically there have been many ways in which this has happened in a largely cash-driven economy,” Hinkson began. “We see the usual BBQ or curry que to raise funds, which is a product-driven approach. And we see fetes or parties which is a service-driven approach,” Hinkson explained. “Then there are instances, such as (last) month’s tragic flooding where there is a need for quick access to cash for goods and relief efforts. But the existing mechanism for that is to create a bank account and for persons that want to contribute to then physically go into a bank, with that bank account info and deposit cash.” The pain points, then, were clear and digital tools, mobile and mobile banking access dictated that there could be a better way. “FundMeTnT was created with the idea to provide a simple and easy-to-access platform that would not only making charitable and community giving easier for those who lead busy lives but want to contribute, but also serve to create a wider pool of donors beyond persons who would trek down to the bank to do cash deposits,” Hinkson added. The model is fairly simple and has been proven to work in larger markets in the US and internationally as demonstrated by way of sites such as GoFundMe. However, these services haven’t extended to our own region, likely for a mix of issues related to scalability, profitability and bureaucracy. To donate through FundMeTnT, people who want to contribute to a cause simply log on and identify a cause that they are interested in and have three options to contribute to it. The first, as is usual, is via credit card access (with an option for Paypal being explored). The second is via international debit cards (Visa/Mastercard, not local debit cards powered by LINX). And the final option keeps in mind that credit card penetration here is around 20 per cent, according to Hinkson; so for those want to donate to a FundMeTnT campaign with cash they can do so via Paywise at any NLCB lottery agent. Further details are available on the site. FundMeTnT is just a few weeks old, but came in at just the right time for the TT Manufacturing Association (TTMA) to launch the TT Flood Relief Fund which as of print, has raised over $118,000, a significant part of the site’s overall $195,000 in funds raised. The interesting development to this was the diaspora. “We realised that by taking fund raising in TT online, we could also attract the diaspora; people who have left TT but still have an attachment with ‘home’, to donate. Given that a number of larger donations to the Flood Relief Fund came via the US, where credit cards are more prevalent, this means that international visitors to the site can easily make donations which given the USD to TTD foreign exchange rate, would equate to significant inputs of TT dollars for what can be considered minor contributions on their end,” Hinkson pointed out. While still in an embryonic stage, there are wider plans for the platform including partnership and promotion to a wider audience, with an effort to create strategic linkages with causes and national themes with the area of sport being one potential area. “We are definitely interested in longer-term partnerships and also being able to look at the potential footprint across other islands. Ultimately, we want this to be the premier platform of its kind but this is for us, just one of many projects that we have a view to engaging in, to push TT forward into the digital age,” Hinkson concluded. Visit fundmetnt.com for more info, to donate to causes or to register a legitimate cause for funding.